With the advent of widespread computer accessibility, the development of new technology became a true cornerstone of many economies. Though the changes started slow, ideas that seemed farfetched just two decades before are now the norm. From a small, wireless phone that can be used to control home and vehicle technology to an unlimited amount of information available on-demand, the internet is undoubtedly an essential part of many people’s lives. Yet, the availability of technology has thrown many industries off-kilter, and the only economic trend that seems safe to bet on is the never-ending march of technological advancement. While some see this as a positive trend, others fear it’s more of a runaway train. And, as anyone who buys a next generation iPhone can tell you, new technology often equals new questions and new problems. The automotive manufacturers and carwash industry are definitely not immune to these issues. Ironically, some new automotive technologies designed to protect vehicles and drivers have led to accidents and damage in carwashes. In September 2016, the International Carwash Association (ICA) announced an initiative to look closer at how emerging technologies will affect carwash operators.1 This is a good example of the educational opportunities carwash owners, managers and employees will need in 2017 and beyond. 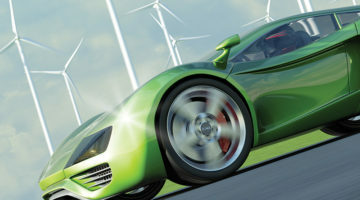 Looking to the future, there is little doubt that new vehicle technology will change frequently, and a proactive approach to dealing with potential issues will be more important than ever before. The automatic emergency braking systems help prevent crashes or reduce severity by applying a vehicle’s brakes automatically. The systems use sensors such as radar, cameras or lasers to detect an imminent crash, warn the driver and apply the brakes. 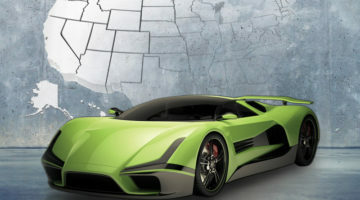 The 20 companies’ unprecedented agreement to add this feature means that this new vehicle technology will be available to more consumers more quickly than would be possible through the regulatory process. 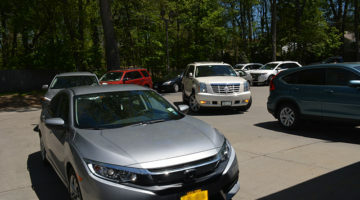 Fortunately, some carwash equipment manufacturers have recognized that automobile safety configurations can present a problem for wash equipment. Levy says wrap-around brushes — as well as top brushes — can be controlled to retract on certain types of vehicles. 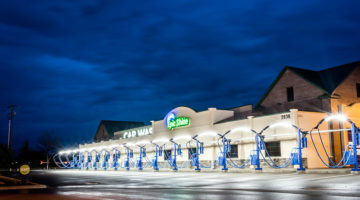 Further, some equipment can now be controlled by the carwash’s computer entry system. “This is a very sophisticated type of system that allows for the wash equipment to be programmed and automatically make adjustments for the height and size of the vehicle. 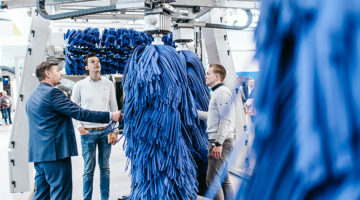 While this is still a fairly new innovation, it is a great way to avoid any possible damage in the wash while at the same time producing a cleaner vehicle,” Levy states. Martin Geller, owner of Vehicle Wash Systems, has been in the carwash industry for more than 40 years. 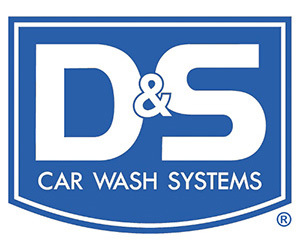 Currently, he is focused on safer equipment for individual carwash owners as well as custom systems for the automotive industry and truck and bus washes. According to Geller, operators should consider a different type of conveyor to address automated braking. 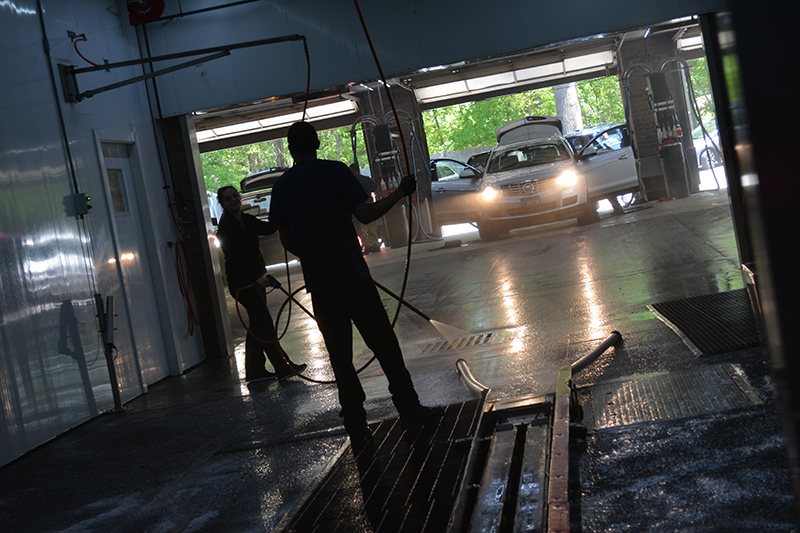 “When you’re in a conventional carwash today, you’re on the conveyor and the car is rolling. When the car senses the mitter curtain or the wrap-around, the brakes will be applied,” Geller says. With a flat belt conveyor, however, all four wheels are stationary on a belt. The vehicle does not sense it is moving, so it will not apply the brakes. And, even if the brakes are applied, the vehicle will keep moving to the end of the track. As for further new technologies, the IIHS explains that the days of driverless cars pulling into a carwash are still far from reality. 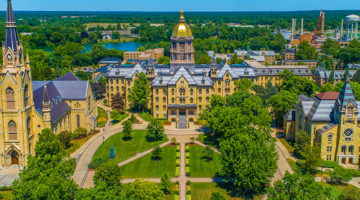 Though more vehicles are incorporating a degree of automation with technologies such as adaptive cruise control and lane-keeping support, the driver will continue to share driving responsibilities. Though fully automated driving could eliminate the vast majority of crashes on the road in theory, that level of automation is still in the distant future. Geller agrees but points out that the automated driving vehicles set for future use will be equipped with sensors on every side. Even in this instance, a flat belt conveyor system won’t require the vehicle to roll, and it will not sense that it’s moving. Thus, when it’s on the flat belt conveyor, the sensors won’t activate automated braking systems. 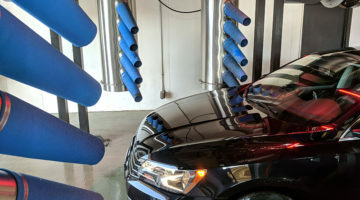 Though these are only a few examples of the new vehicle technology changes carwash operators can expect in the future, it is obvious operators need to educate themselves on new vehicle changes regularly. Levy says that this can be done by checking out vehicle manufacturers’ websites and looking for design changes that could present potential problems. As certain features that are now optional become standard, more problems could be created. “There are so many new features on today’s modern automobile that it is easy for the driver to become confused, especially in the carwash when they are not sure of what is taking place,” Levy explains. 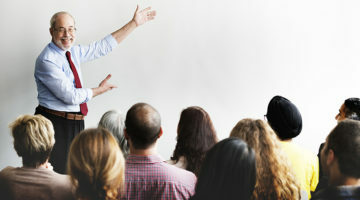 One way to better train employees on what to look for would be to communicate issues during regular employee meetings. An operator can even have some new vehicle brochures in the breakroom or common area for employees to look over. Levy notes that educating all workers is a challenge, but management has the obligation to keep its employees informed. 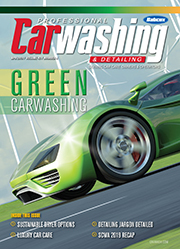 Preventing vehicle damage has always been a hurdle for carwash owners. Also, the lifecycle of today’s carwash equipment ensures it will last a long time. 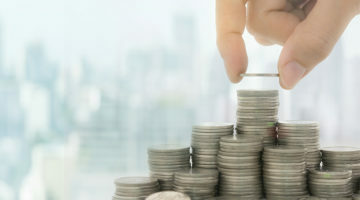 Operators should remain aware of new equipment innovations coming into the market, Levy states. 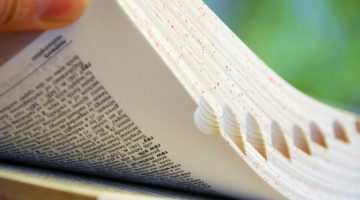 Here, operators can remain aware simply by reading industry magazines, attending carwash shows, talking to equipment manufacturers about how they see the future and finding out what their plans are to better adapt washes. Operators should also talk to their distributors about the equipment they represent and learn about new vehicle technology that may be coming out.